Sangeet Paul Choudary is a Singapore-based platform expert who researches digital markets and platform economics and has extensive experience leading early stage ventures. I recently had a chance to ask Sangeet a few questions about platforms and why he thinks they’re having such a big impact today. Check out part one of the two-part Q&A below. 1. How do platforms differ from traditional business models? Most traditional business models have been linear – there’s a producer at one end and there’s a consumer at the other end and value flows linearly. This is what I refer to as “pipes.” Just like water flows in a pipe in a particular direction, value flows in these linear business models in a particular direction. If you think of traditional media – television, radio – all of them work like pipes. They form products and send them down a pipe to the consumers. If you think of our existing distribution channels, all of them work like a pipe. There’s no real-time feedback from the consumer. He just feeds off the pipe at one end. If you think of manufacturing, the producer’s at one end and the consumer’s at the other, and it again moves like a pipe. Even traditional services move like a pipe. If you think of a consulting firm, you have experts bunched up inside a McKinsey or a BCG and they go and consult somebody and it all works like a pipe. 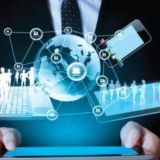 What’s changed in the last ten years is the rise in connectivity, the democratization of the tools of production and the explosion of data. These three things have worked together to drive the rise of platform business models. I specifically call out these three things because there are three significant shifts that are happening right now. First, linear business models are giving way to networked business models, which we call platforms. What happens today is that information flows through a network. So, if you think of something like television as the linear model, the platform model is YouTube. If you think of the linear model as a hotel, the platform model is Airbnb. In each of these examples, the platform never owns the inventory and it never manages the creation and delivery of products and services. What it focuses on is enabling interactions between these producers and consumers. At the same time that linear business models are giving way to network models, consumption-only models are giving way to participation models. Now, participation involves not just co-creation but also sharing, whether it’s sharing things over social media or actually sharing resources in the sharing economy. We’re moving in a direction where the consumer is no longer merely a consumer. He’s participating in the business. Finally, the third case that we see right now is the rise of data, and the explosion of data enables platforms to create value. Because it is a network with millions of users, a platform needs to ensure that the right users are matched to each other so that the right interactions can take place. In the YouTube example, think of the right video being shown to the right person, or think of the right host being matched to the right traveller on Airbnb. 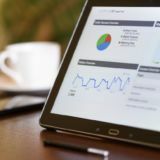 You need data for all of this to ensure the search works well and to ensure that personalization algorithms work well. There are many other differences that stem from these three, but these are the primary differences that come into the picture as a result of platforms relying on participation. And platforms can rely on this participatory model because they are working through a network. These are not closed systems anymore. These are open systems where anyone can participate. There are, of course, criteria about who can participate, what kind of actions that person is allowed to perform and what level of power that person has on the platform. But platforms are much more open than the traditional closed systems that we knew as organizations. So, of the many differences that come to mind beyond this, all of them stem from the way these three basic drivers have changed. 2. If I’m a successful existing business, why should I think about building a platform? If the world is becoming networked, and if the Internet creates new businesses models, then you need to think about platforms. You don’t need to change your business completely. If you’re producing cars, you can still have a factory. It’s just that the way you build a car that will change. The way you source your ideas for the design will change, the way you create the driving experience will change, whether it’s a single-person experience or a connected-car experience. What’s important is that traditionally we’ve seen business as a value chain and that’s again following the pipe metaphor – value moves in a certain direction. For lots of traditional businesses, things will still move in a linear fashion. What’s important is to identify opportunities in this linear flow where you can open up the sources of value creation, using a platform approach. Let’s think of the media industry. The media industry has always moved in a linear fashion, right? You have the sourcing of content where the reporters go out and source content. Then you have the supply chain for the creation of content. You have reporters, editors and lots of people working together to build content. Then you have the editorial department where somebody decides whether content is worthwhile or not. And finally, you have the content distribution. So, this is an end-to-end value chain. Let’s look at each of these things. If you think of a service like Help a Reporter Out, which connects reporters with people who have newsworthy items in response to their questions, that’s essentially a platform approach to the initial sourcing part. You’re not changing the rest of the chain, but you’re making the sourcing part of it into a platform. Another example is Viki, which takes Asian dramas and crowd sources the sub-titles for these dramas and then licenses the sub-titled videos in the U.S. Traditionally, you would have gotten a sub-titler inside the company to write the sub-titles. But now, with the platform approach, Viki allows its users to create the sub-titles. And that’s adding value in the content-creation process that is after the sourcing process. Then there’s the content editorial process, where at a newspaper you always had to go through a traditional gatekeeper, like the editor at, say, Forbes. But if you think of Medium, anybody can be a narrator over there. If you start a collection on Medium, if you gain a rapid following, you become an editor. So, the definition of an editor changes, the openness of the business model changes. Finally, on the distribution side, new forms of distribution are coming in. Traditionally, the only way to distribute was to push. Take a channel and push content down that channel. Now, what happens is you have entire companies like Buzzfeed and Upworthy being built around a participatory distribution model. All of the distribution is determined by viral spread. This same process can happen with any traditional business. So I would say it’s important to lay out your value chain end to end, just as we did with this media value chain, and figure out which parts in this value chain you can potentially open up and build into a platform. 3. How do platforms scale differently than traditional businesses? On a platform value is created not by inventory and not by adding more employees, but by creating a larger network and making that network more efficient. So, the real value is in the network effect. Traditional businesses scale by adding inventory if you’re building goods or by adding more people if you’re delivering services. That’s why we think of scale in those terms. But what happens on a platform is you don’t even have inventory in a traditional sense. Think of Instagram or WhatsApp, which got acquired for billions of dollars with less than 50 employees. What was important for both of these platforms was not the scale of the internal organization but the growth of the networks they enabled. 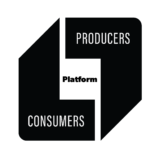 Platforms, in general, scale by ensuring that more consumers and producers join and that the producers keep producing value more often. If you think of Airbnb, they would like more and more hosts and travelers to join and for the hosts to create listings that are available more and more often. And essentially, by growing that network, you scale a platform. The other important factor in growing a platform is that your ability to manage it should scale with the size of the platform. This part is very important. Think of what happens when you have to moderate a discussion of three people versus if you have 300 people – you cannot moderate that discussion effectively. On a platform, the way to do it is through data. You need to ensure that you have the right data about the producer, about the consumer, about the goods and services being exchanged on the platform. Then you can appropriately connect these groups with each other using data. As you scale, your ability to connect them will scale only if you also scale the amount of data that you have about these things. So that’s a key difference in how platforms scale compared to traditional businesses. 4. Do you have to be the first to succeed as a platform? How late is too late? You don’t have to be the first to succeed as a platform. At one point you did have to be, because there was a winner take-all dynamic. But what’s increasingly happening with the rise of the social graph as well as with the rise of alternate networks that you can leverage to start a new network like the Phonebook, is that new platforms can start very easily. So there is no longer that network effect barrier that used to be there. So, you can succeed even if you are late. Think of Instagram, think of WhatsApp, all of them succeeded in threatening Facebook and that’s why they got acquired. Think of Airbnb that succeeded despite Craigslist being there. What’s important is that you do not compete head-on in terms of the value proposition. You compete for the same resource. So Instagram and Facebook competed for the same time that users have but the value propositions were different. Want to read more? Check out part two of our interview with platform blogger Sangeet Paul Choudary.